Bogan was born Louise Marie Bogan in Livermore Falls, Maine, the daughter of Daniel Joseph Bogan, a superintendent in a paper mill, and Mary Helen Murphy Shields. She grew up in various mill towns in the Northeast, moving often with her parents and brother. Her parents’ marriage was volatile, and her mother’s affairs haunted Bogan for much of her life. Although Bogan attended Boston University for only one year in 1915-1916, her early education at Boston Girls’ Latin School gave her a rigorous foundation. She was already writing poetry and reading Poetry: A Magazine of Verse in its first issues in 1912. While modernism in literature and the arts was gaining in momentum and shape, Bogan was quietly mastering metrics and defining her style. She later wrote passionately about her artistic awakening, describing a visit to her mother in the hospital. There in the room she saw a vase of marigolds: “Suddenly I recognized something at once simple and full of the utmost richness of design and contrast that was mine.” Design and contrast are at the heart of her formal poetry, and the style that she crafted early did not vary much throughout her later years. She married Curt Alexander in 1916, but the marriage was not a happy one. They had one daughter, born just a year later. By 1920 Bogan was a widow (she had earlier separated from her husband), left with a child to care for and without a reliable income. After moving to New York City, where she would live for the rest of her life, Bogan started to piece together the life of a working writer. She soon met other writers in the city’s thriving literary community: William Carlos Williams, Malcolm Cowley, Lola Ridge, John Reed (1887-1920), Marianne Moore, and, most important, Edmund Wilson, who became her early mentor. Wilson, already a man of reputation, urged her to write reviews of literature for periodicals, and this eventually became a steady source of income. A year after modernism peaked in 1922 with T. S. Eliot’s The Waste Land, Bogan published her first book, Body of This Death. In contrast to Eliot’s expansive, associative, free verse, Bogan’s lyrics were brief, limited in theme, and highly formal. The volume, which was well received although many reviewers found the poetry obscure, speaks eloquently about love and grief, Bogan’s twin themes. At this time she was seeing a psychiatrist to help her battle the depressions that relentlessly beset her and occasionally hospitalized her. Her life and her lyrics are intimately intertwined, although Bogan would be the last person to elucidate the connection. She was intensely private; for years many of her friends did not know she had a daughter. Bogan had married again in 1925, this time to the writer Raymond Holden. This marriage, like the first, was troubled and did not last. Despite the personal turmoil, the 1920s and 1930s were Bogan’s most productive poetic years. 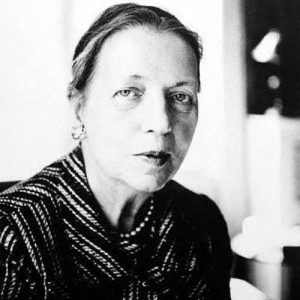 She published Dark Summer in 1929 and her third volume, The Sleeping Fury, in 1937. Other books that followed mainly collected previously published work and added a few new poems. The writing process for Bogan was painful and exacting; poems came rarely and at a cost. Her poem “The Daemon” depicts her muse as a monster demanding revelations again and again. Much of her work, in fact, draws upon the themes of silence and language as well as upon the failure of love. During this decade she began reviewing poetry for the New Yorker, a job she held for thirty-eight years. Many of these reviews, as well as others, are collected in A Poet’s Alphabet: Reflections on the Literary Art and Vocation (1970). Her prose is direct, nonacademic, and sharp. The series of articles on her two favorite poets, William Butler Yeats and Rainer Maria Rilke, is particularly insightful. The poet W H. Auden thought she was the best critic of poetry in America. Interest from feminist circles in the hidden lives of women writers has prompted new assessments of Bogan. The “mosaic” of her autobiographical pieces, Journey around My Room (1980), and the Pulitzer Prize-winning biography by Elizabeth Frank, Louise Bogan: A Portrait (1985), have introduced her to the general public. Yet Bogan remains a poet’s poet, yielding beauty to those whose ear, mind, and heart are open to the demands of her poetry. Her work is particularly important in light of her place in the company of other modernists. In a time of experimentation, of a general loosening of structures and subjects, she held the line for formal poetry and for the precise blend of emotion and intellect to enliven that poetry. Bogan’s papers, including manuscripts for many of the poems, are held at Amherst College Special Collections, Amherst, Mass. The most helpful source is Claire E. Knox’s annotated bibliography, Louise Bogan: A Reference Source (1990). For a taste of Bogan’s wit, her spirited letters, What the Woman Lived: Selected Letters of Louise Bogan, 1920-1970, ed. Ruth Limmer (1973), should not be missed. Important reviews are collected in Martha Collins, Critical Essays on Louise Bogan (1984). The only full-length studies are Jacqueline Ridgeway’s general introduction, Louise Bogan (1984), and Gloria Bowles’s feminist reading, Louise Bogan’s Aesthetic of Limitation (1987). Obituaries are in the New York Times, 5 Feb. 1970, and the New Yorker, 14 Feb. 1970. Do you have any comments, criticism, paraphrasis or analysis of this poem that you feel would assist other visitors in understanding the meaning or the theme of this poem by Louise Bogan better? If accepted, your analysis will be added to this page of American Poems. Together we can build a wealth of information, but it will take some discipline and determination.